​​The proper removal of disposed medical debris and trash is met according to safety regulations. Great Northern Cleaning takes AORN’s and the CDC’s recommendations extremely seriously for environmental responsibility in the medical and surgical practice settings. The main emphasis is our employee’s attention to detail. A work site check-off list is used at each location to assist in this goal. 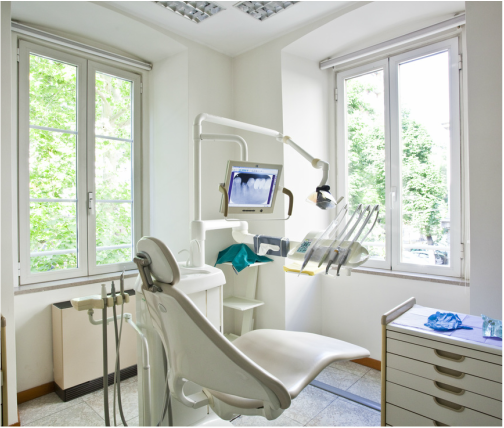 We offer cleaning solutions that make your medical office shine. Standard janitorial services include vacuuming, dusting, emptying of trash bins and replenishing toiletry supplies, as needed. If there are bathrooms in the office, these are also cleaned and sanitized on a regular basis. We can also provide specialty cleaning services as needed. Great Northern Cleaning is able to offer you the highest level of medical cleaning services that are required in order for you to maintain and pass OSHA inspections. Our green-cleaning methods and our proper protective equipment, such as gloves and eye protection, allows us to know that we are not contaminating surfaces and protects us from any serious hazards. Our healthcare cleaning methods will also minimize aggressive cleaner exposure and provide a healthy atmosphere for your staff and patients.